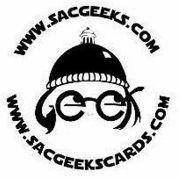 Best of Geeky Sacramento projects, website announcements, etc. Maybe one of you knows the answers to these members' queries? If you're looking for programmers, comic book artists, graphic artists, computer techs, etc., list it here. If you have those kind of skills to offer, list them here. Best to put these on the Calendar -- if you don't have access, message me via the site or email me at frellingbored@yahoo.com and I can give you the admin rights. Or if you prefer, you can post about events in this forum.